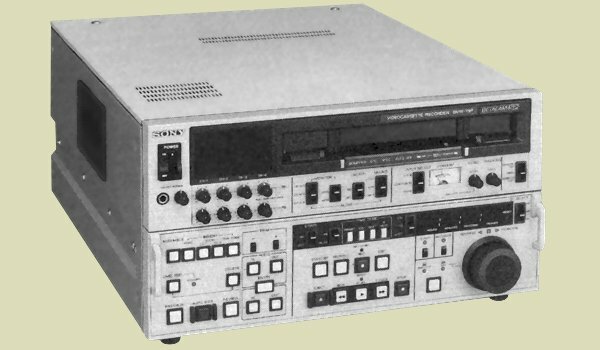 The BVW-75 is the established workhorse of the analogue Betacam SP machines. It is an edit master recorder/player that incorporates Dynamic Tracking and a Built in Timebase corrector for perfect noise free playback. It also boasts four channels of audio, ( Two AFM, hi-fi, audio tracks and two Linear tracks) plus a VITC (Vertical Interval Time Code) that allows accurate timecode reproduction at all times in conjunctions with the LTC reader. There were two versions of the Time Base Corrector with differnet specifications. Known as TBC-8 and TBC-12 the latter is preferable as it has enhanced perfomance.